Here we go again folks. Another Saturday is here and that means another special contest giveaway! This is a great way for me to say thanks to all my readers out there and to also give you some free swag courtesy of our friends at PhantomSkinz. What’s up for grabs today? Well, we have TWO PhantomSkinz to give away! I’m not one to forget my roots so we have a PhantomSkinz for the first generation iPhone and the other is for the iPhone 3G. 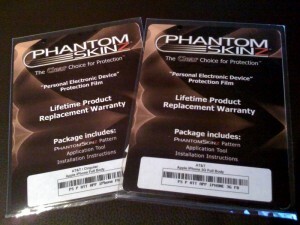 Be sure to read my full review of PhantomSkinz by clicking here. 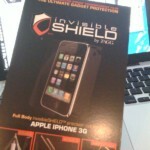 PhantomSkinz ship with two full body shields inside and also have a lifetime warranty. They also have skins for other cellphones and notebooks as well. Be sure to check out their extensive website! 1. Subscribe to iPhoneinCanada.ca’s RSS Feed. 3. Blog about this contest and post the linkback, and gain another entry (optional). 4. Post a comment below to confirm your entry (mention First Gen iPhone or iPhone 3G)! That’s it! Expect another contest next Saturday as well. Stay tuned! Good luck to everyone who enters. This contest will end on Sunday at midnight, PST. The winners will be announced on Monday or Tuesday. Can you believe it’s November already?! ZAGG 40% Off ANY Order Halloween Special: Today Only!